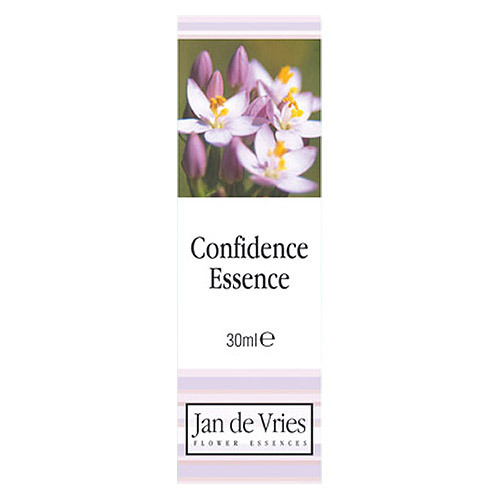 Jan de Vries Confidence Essence is a combination of the flower remedies of Centaury, Pine, Honeysuckle, Larch, Buttercup, Mimulus, Tansy, Walnut, Cerato and Elm. To be used by those whose confidence needs rebuilding when experiences are hard to forget or deal with. Teaming up with Emergency Essence for one-off situations such as fear of flying, public speaking, can also prove to be useful. Tinctures of the flowers of Centaury, Pine, Honeysuckle, Larch, Buttercup, Mimulus, Tansy, Walnut, Cerato and Elm in equal amounts. Use 5 drops in a little water as often as required. Can be used at intervals up to 6 times daily if required. 3 drops in a little water 3 times daily. This product is not recommended for chilren under 2 years of age. If pregnant or breastfeeding please seek professional healthcare advice before using this product. Below are reviews of Jan de Vries Confidence Essence - Tincture - 30ml by bodykind customers. If you have tried this product we'd love to hear what you think so please leave a review. 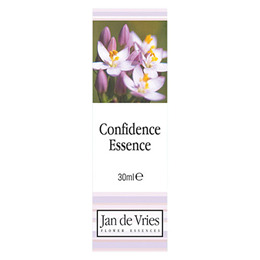 Jan de Vries Confidence Essence is a combination of Centaury, Pine, Honeysuckle, Larch, Buttercup, Mimulus, Tansy, Walnut, Cerato and Elm. To be used by those whose confidence needs rebuilding when experiences are hard to forget or deal with.